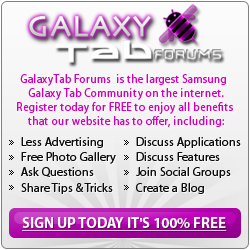 I want to buy a tablet, my friend tell me to buy a Galaxy note 8, but i prefer liking Galaxy Tab 10.1. Can you give me some suggest for which one is worth to buy? but i prefer liking Galaxy Tab 10.1. I believe you answer your own question. You will find lot of diff opinion. Welcome to the forum. IMO, I will go to any latest devices. I have the Galaxy Note 8 and (had) the Galaxy Note 10.1. The size of the Note 8 was the reason that I no longer have the Note 10.1. The Note 8 is just the right size to do most anything that the 10.1 could do...much more portable and less cumbersome! I know the Galaxy Tab 10.1 is different than the Note 10.1, but the size issues are still the same (size matters! )...and I'm addicted to the stylus! Hope that helps.